Welcome to the Home for Wayward and Misbegotten Creatures, an institution run by evil Miss Carbunkle, a cunning villainess who believes her terrified young charges exist only to serve and suffer. Part animal and part human, the groundlings toil in classroom and factory, forbidden to enjoy anything regular children have, most particularly singing and music. For the Wonderling, an innocent-hearted, one-eared, fox-like eleven-year-old with only a number rather than a proper name - a 13 etched on a medallion around his neck - it is the only home he has ever known. But unexpected courage leads him to acquire the loyalty of a young bird groundling named Trinket, who gives the Home’s loneliest inhabitant two incredible gifts: a real name - Arthur, like the good king in the old stories - and a best friend. Using Trinket’s ingenious invention, the pair escape over the wall and embark on an adventure that will take them out into the wider world and ultimately down the path of sweet Arthur’s true destiny. 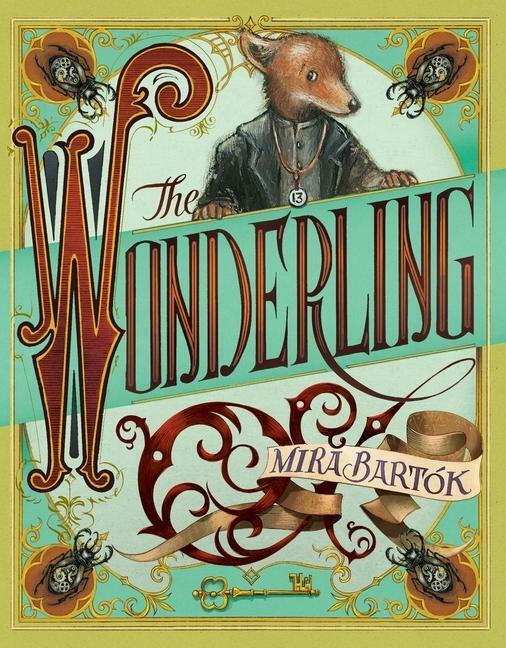 Mira Bartók’s The Wonderling is a story full of heart and soul, and one of my favourite middle fiction reads of 2017. This is a story about groundlings – beings that are part animal and part human – who are treated as lesser beings merely because of their mixed heritage, and banished to live in an orphanage far removed from more elevated society. Headmistress Carbunkle, a cruel villainess who reigns supreme over this unfortunate institution, subjects the groundlings to terrible hardship and suffering. It’s a place where it rains all the time, where singing is banned and friendships among the students are discouraged and treated as a punishable offence. But these risks don’t stop Arthur, the hero of this story, from standing up to a bully, making a new friend and daring to believe in a life beyond the bleak orphanage walls. The brave escape in pursuit of freedom and the arduous adventure that follows will have you holding your breath in fear, hope and wonder.